A Consultant Vitreoretinal Surgeon is an ophthalmologist with special expertise in the management of conditions at the back of the eye which require surgical treatment, such as retinal detachment, macular hole, epiretinal membrane, ocular trauma, complicated diabetic eye disease, complications of cataract surgery and endophthalmitis. After completion of an undergraduate degree in medicine then two years of foundation training to be a consultant in the United Kingdom a doctor has either to complete specialist training in ophthalmology and attain a Certificate of Completion of Training (CCT) or by attaining a Certificate of Equivalence of Specialist Registration (CESR). A consultant vitreoretinal surgeon will have undergone at least one year of supervised surgical training in a recognised vitreoretinal fellowship. During this training, they will have gained the skills to perform vitrectomy surgery competently for the full range of vitreoretinal conditions and external procedures such as scleral buckling. It is expected that around 250 vitrectomy cases would have been personally performed, including those under supervision. 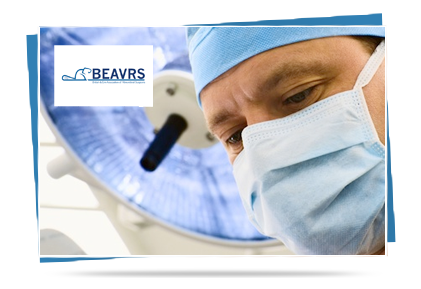 For consultant posts in the UK it is also expected that they will have extensive experience and a high level of skill in phacoemulsification cataract surgery, and the competencies to deal with the complications of cataract surgery. Vitreoretinal surgeons in the UK are expected to have a regular, ideally continuous, audit of their surgical results. Audit results of retinal detachment surgery and/or macular hole surgery should be presented annually as part of Consultant Appraisal, and also as part of the Revalidation process.